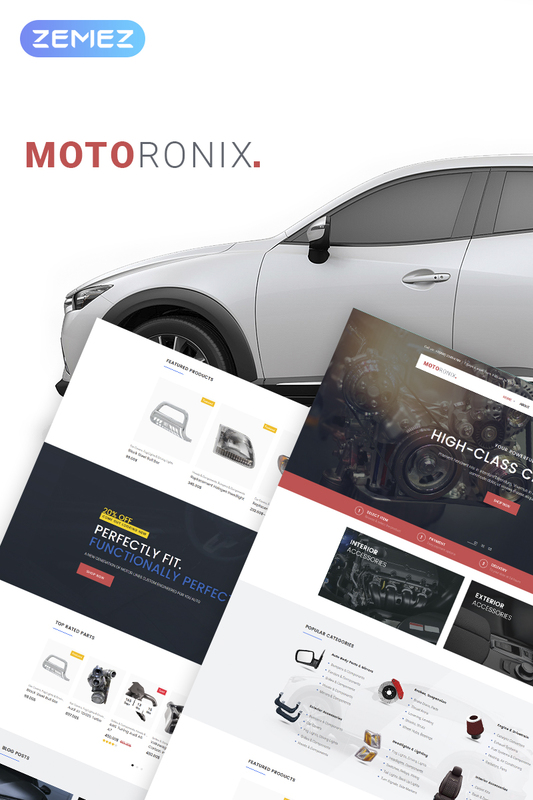 With Motoronix – Car Parts WooCommerce Theme you will be able to represent your business online, engage new clients and expand your trading territory. Motoronix comes with a large number of plugins, highly functional elements and easy-to-use WooCommerce package. Edit and customize the theme in real time and create new page layouts using Elementor page builder. With Elementor and its addon – JetElements, it’s more than easy to craft and style each page according to your needs and preferences. JetElements plugin contains dozens of modules, which are not included to standard Elementor bundle. Tunnim – Car Tuning WordPress Theme is a creative Car Tuning WordPress theme. Promote your auto services in a proper way with a help of this stylish, multifunctional theme. Tunnim contains advanced functional module allowing you to style your site according to your needs. There is a great bundle of Jet plugins designed for Elementor Page builder, they will make the process of creating a presentable site easier. You will be able to create different kinds of content, adds custom modules to your website and applies attractive styles in the way of several clicks with JetElements plugin.